We’ve been busy launching The Edinburgh Dungeon’s seasonal summer show ‘Braveheart’s Revenge’ with a campaign that is making major headlines across the UK. 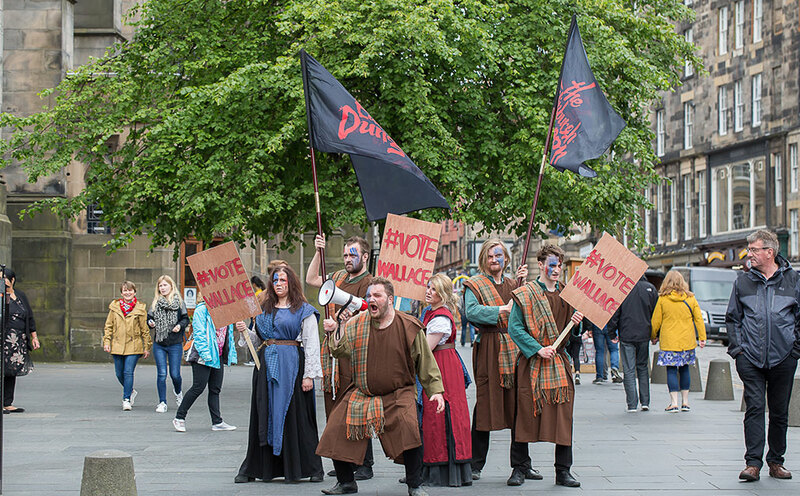 We carried out a survey that showed the majority of Scots want a national day to celebrate William Wallace – so we’re campaigning around the country to spread the word. From creative photocalls, meets with MSP’s and stunts with horses – it’s all happening north of the border!